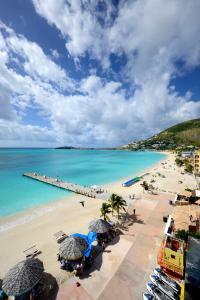 ﻿ Best Price on Sea Palace in Philipsburg + Reviews! Sea Palace is offering accommodations in Philipsburg. 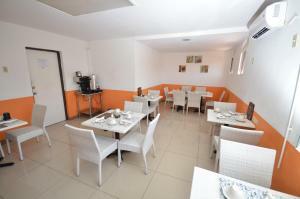 All rooms have a flat-screen TV with cable channels and a private bathroom. The property provides a 24-hour front desk. At the hotel, every room has a balcony. A seating area is at guests' disposal in all rooms, while selected rooms here will provide you with a DVD player. Guest rooms at Sea Palace include air conditioning and a closet. Saint Martin is 7 miles from the accommodation. Please note that the minimum check-in age is 25 years. Please note this resort has condominiums that are part of a timeshare program. Guests who might stay in these particular condos may have to change rooms during their stay. Guests are required to show a photo ID and credit card upon check-in. Please note that all Special Requests are subject to availability and additional charges may apply. Please inform Sea Palace of your expected arrival time in advance. You can use the Special Requests box when booking, or contact the property directly using the contact details in your confirmation. Please note that the full amount of the reservation is due before arrival. Defender Resorts, INC. will send a confirmation with detailed payment information. After full payment is taken, the property's details, including the address and where to pick up the keys, will be sent to you by email.